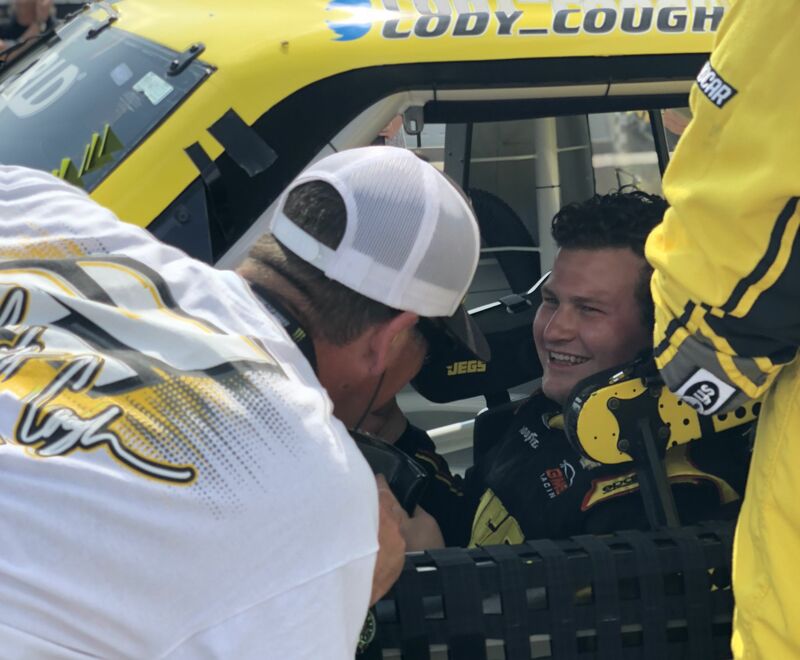 STATESVILLE, N.C. (July 19, 2018)—With dirt slinging and doors banging as the checkered flag waved, Cody Coughlin, driver of the No. 2 CoughlinChevrolet.com Chevrolet Silverado for GMS Racing, finished in the 28th-place in Wednesday night’s Eldora Dirt Derby NASCAR Camping World Truck Series (NCWTS) race at the historic Eldora Speedway in Rossburg, Ohio. Coughlin and his No. 2 CoughlinChevrolet.com Chevrolet Silverado team rallied from the 32nd-place with a damaged Chevrolet Silverado, to score a 28th-place finish in the only dirt race on the NASCAR Camping World Truck Series schedule. “Wow, what a night,” Coughlin said. “Our team could not get the No. 2 CoughlinChevrolet.com Chevrolet Silverado to handle the way we needed. Throughout the night, Jerry (Baxter, crew chief) and the GMS Racing team worked hard to remedy the handling. We are ready to move on, and get to the Pocono Raceway next week. 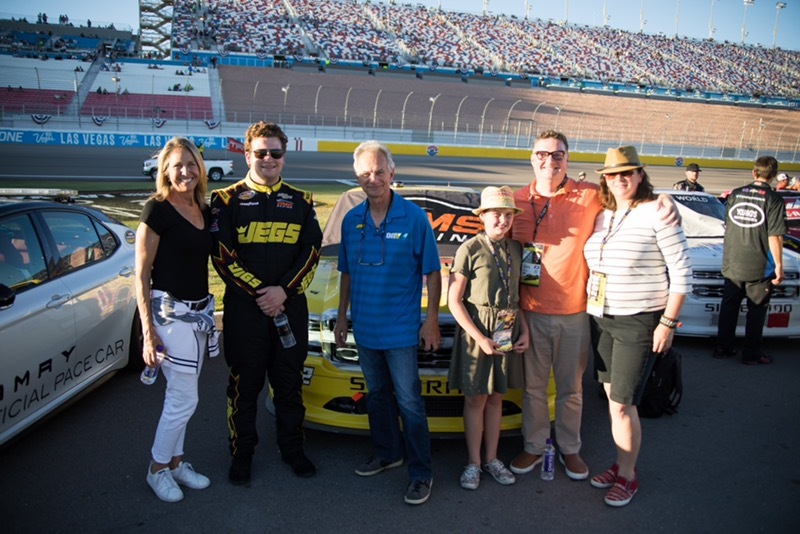 Stewart, a three-time Monster Energy NASCAR Cup Series (MENCS) champion, and co-owner of Stewart-Haas Racing (SHR), walked to the No. 2 CoughlinChevrolet.com Chevrolet Silverado before the start of the Eldora Dirt Derby to wish Coughlin luck for the main event. The Eldora Speedway is unique on the calendar in both racing surface and format, especially when it comes to setting the starting lineup for the scheduled 150 lap event. 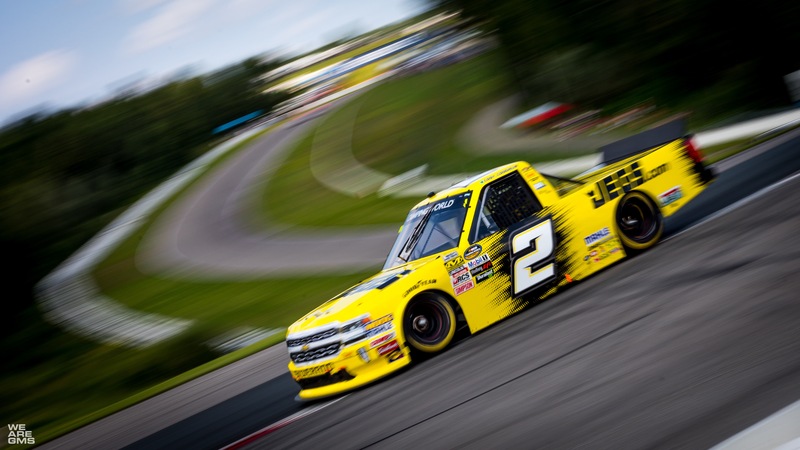 Single-truck qualifying on Wednesday evening determined the pole winner, but it did not determine the starting order for the race. Qualifying set the lineups for the ensuing five qualifying races. 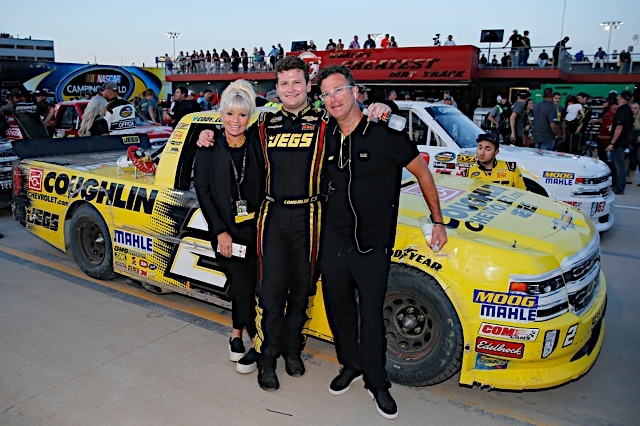 Coughlin was the second fastest of the four-truck GMS Racing contingent by setting the 24th-fastest lap in qualifying for the sixth annual Eldora Dirt Derby, turning a lap of 21.618 seconds at 83.264 mph around the .5-mile track. The Delaware, Ohio, native started and finished in the fifth-place in Qualifying Race 4, securing a 24th-place starting position for the main event. As the first of nine caution flags waved on Lap 10, Coughlin was scored in the 27th-place as he started to battle an ill-handling Chevrolet Silverado. The 22-year old was navigating around the clay oval to find a line that worked for the handling. Coughlin was involved an in incident on Lap 28 in Turn 3 which resulted in no damage for the yellow-and-black machine, but it pushed Coughlin a lap down. At the end of Stage 1, on Lap 40, Coughlin finished in the 32nd-place. 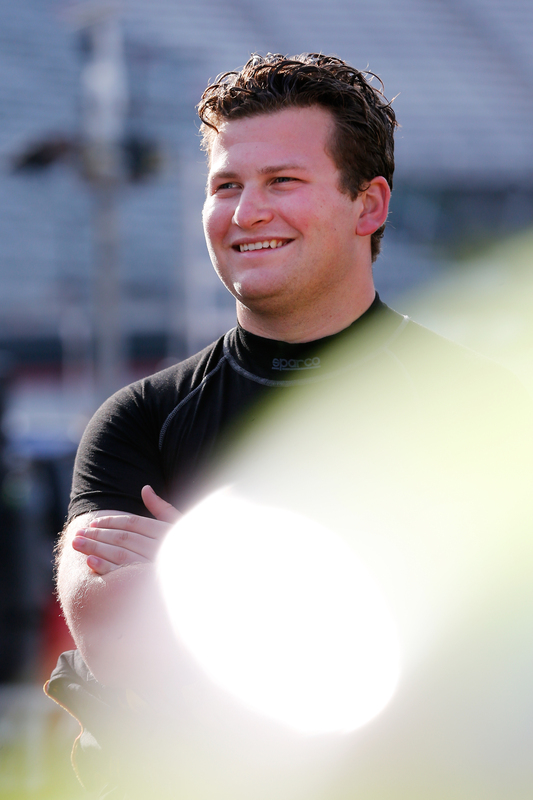 During the break between Stages 1 and 2, Coughlin was among the drivers who elected to come to pit road for service. After receiving his lap back, crew chief Jerry Baxter called Coughlin to pit road for tires, fuel and a round of adjustments to help alleviate the handling conditions. 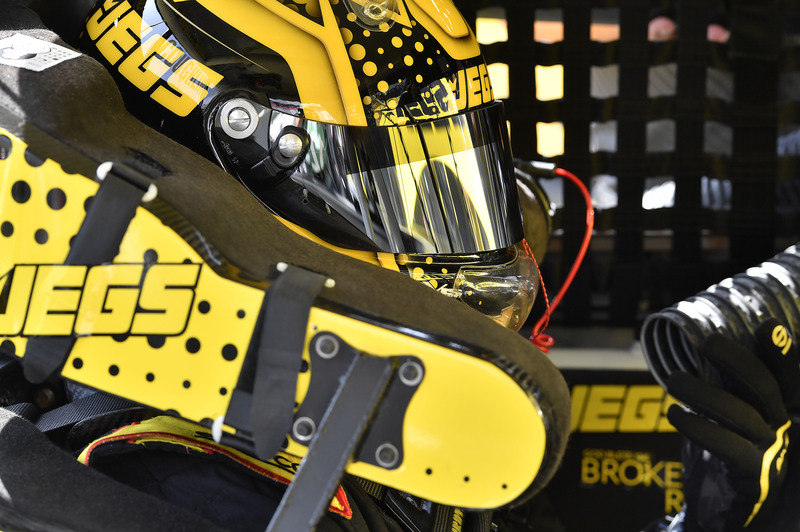 As many drivers did not elect to pit, Coughlin restarted Stage 2 in the 32nd-place, but through sheer determination, Coughlin posted his fastest lap of the race on Lap 47. 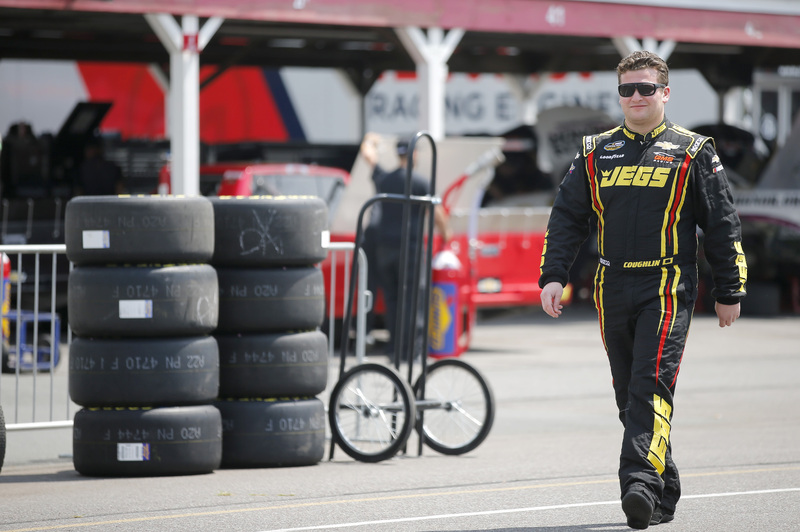 His momentum drove Coughlin forward, and by Lap 75 he was scored in the 25th-place. At the end of Stage 2, on Lap 90, Coughlin was scored in the 24th-place. Baxter reminded Coughlin that several trucks have not pitted, and that he will move-up in the running order. Coughlin was determined to find his way to the front of the field, fighting for position, but the handling relegated him to a lap down behind the race leader, and with 25 laps to go, he is scored in the 25th-place. He survived a last-lap side-by-side fender-banging battle to finish in the 28th-place. 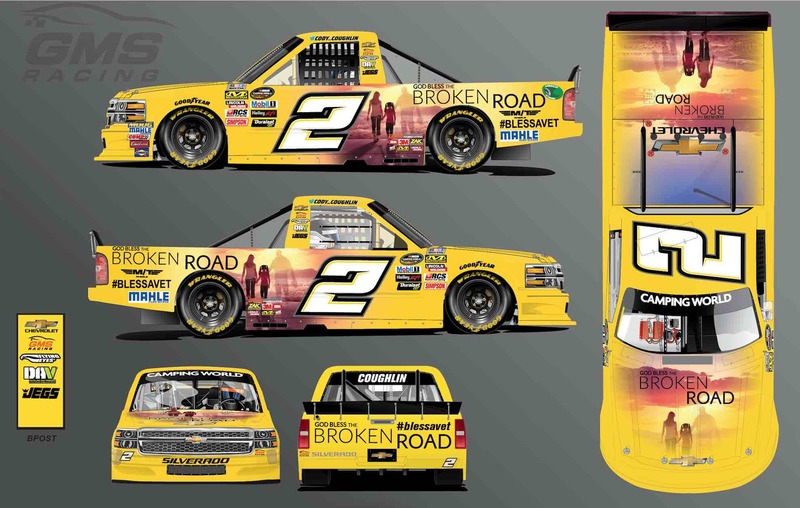 The next event on the NASCAR Camping World Truck Series schedule is the Gander Outdoors 150 on Saturday, July 28, at the Pocono Raceway in Long Pond, Pa. The FS1 and Motor Racing Network (MRN) will broadcast the race at 1:00 p.m. (ET).